Make sense of huge, cryptic log and license files. Obtain insight on your FlexLM license usage statistics and patterns. Share statistics reports with management and colleagues. Online service. No installation required. Safe. Information is private and secure. 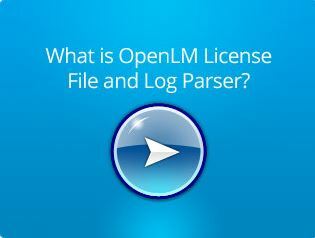 OpenLM License parser will convert your files to a human readable, clear reports and charts giving you the information you need in order to justify the purchase of additional licenses.